Each year, millions of women are physically and sexually assaulted by intimate or domestic partners. The World Health Organization estimates that as many as 30 percent of women have experienced this kind of violence (2013), making it the most common form of gender-based violence. This toolkit supports the objectives of the United States Strategy to Prevent and Respond to Gender-based Violence Globally (updated, 2016) and USAID’s Gender Equality and Female Empowerment Policy. It addresses activities and projects that USAID staff may design to strengthen and secure land tenure, property rights, and land governance in rural, peri-urban and urban areas. 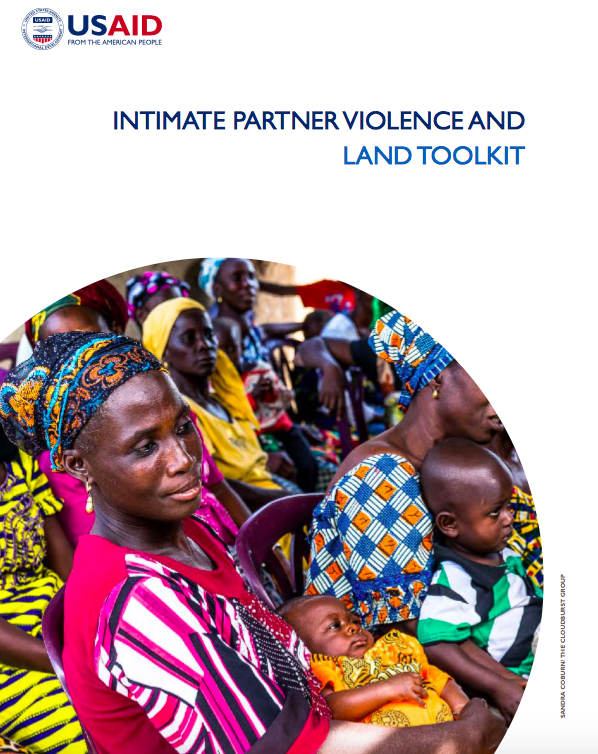 This toolkit is meant to be an easily-accessible resource designed to increase awareness of concerns related to intimate partner violence (IPV) in land-related policies and programming. It provides recommendations for activities that can build an understanding of this issue and address the needs of women and men for more secure land and resources. This toolkit also provides recommendations related to monitoring and evaluation of land activities and suggests indicators that projects may wish to use to measure outcomes.